Don’t forget when researching your engineering and computer science projects that City Library has a subscription to the American Society for Testing and Materials (ASTM) database. 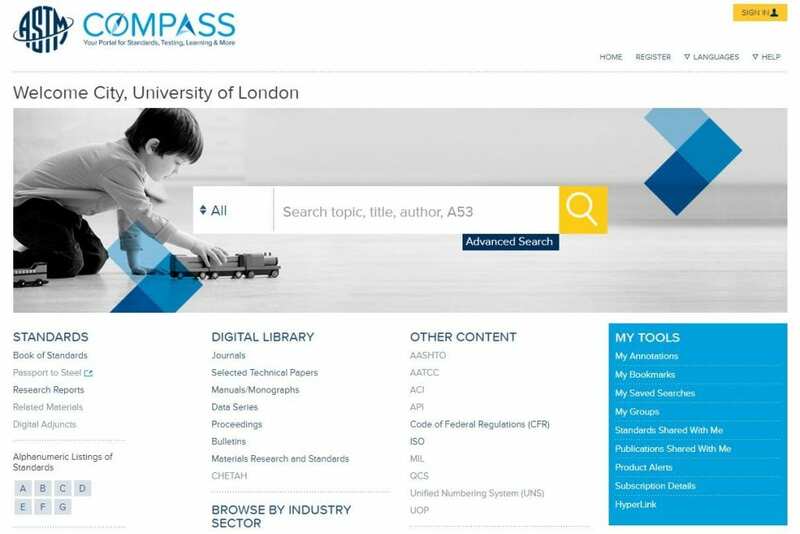 This database contains over 30,000 standards and the journals of the Society which cover a wide range of subjects, including regulation of areas such as cyber crime. Active standards are clearly signed, as are historical versions making it easy to see how a test or standard has been developed and/or superseded. Results can be viewed online or in pdf format. The database is not just text based you may also access videos of test methods. Create an account with ASTM (it is free to you, as a student of City University). Once you’ve logged in, you can annotate a standard, bookmark a standard and access product alerts.